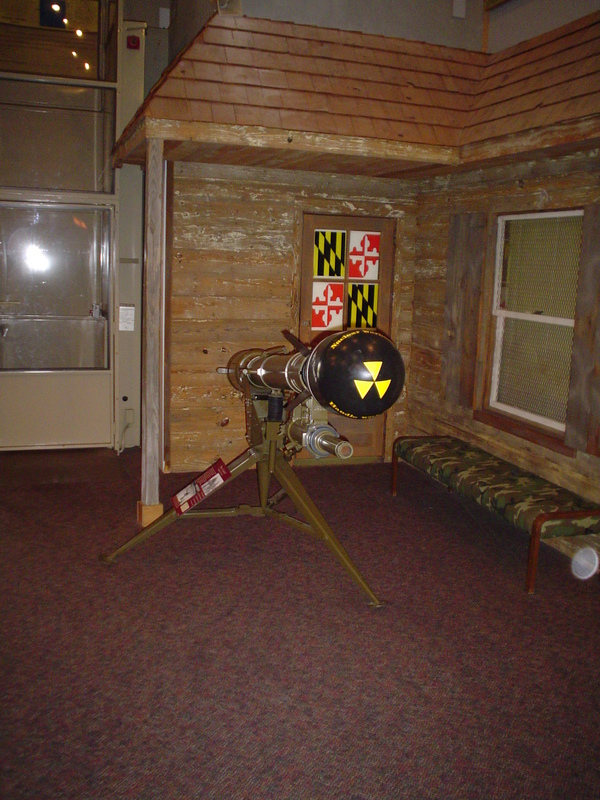 Shot of a Davey Crockett, a crew deployed rocket grenade that could be equipped with a nuclear warhead. Created in the early 60s as a spoilsport weapon in case the Soviets invaded western Europe. I took this picture at the Aberdeen Proving Grounds in Maryland, for me the happiest place on Earth.